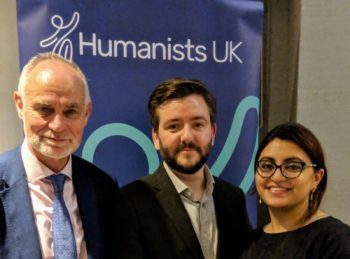 Gulalai Ismail with Crispin Blunt MP and Humanists UK Chief Executive Andrew Copson, at Humanists UK’s fringe event at the Conservative Party Conference last October. She was first arrested upon returning from the Conference to Pakistan. The leading Pakistani humanist and human rights campaigner Gulalai Ismail has been arrested for a second time. Gulalai was first arrested in October, after flying in to Pakistan from speaking at a Humanists UK event at the Conservative Party Conference. Shortly afterwards she was freed on bail but has now been re-arrested in Balochistan. Gulalai is a Board member of the International Humanist and Ethical Union (IHEU) and an award-winning Pakistani human rights defender. She is the co-founder and chairperson of Aware Girls, an organisation which works to empower and educate women and girls on rights and leadership in Pakistan, and chair of the Seeds of Peace network. She regularly speaks at home and abroad on peace-building in Pakistan and women’s empowerment. Both her previous and latest arrests were due to activism with the Pashtun Tahafuz Movement, which works for Pashtun human rights in Pakistan. Since her first arrest she has had her passport confiscated and been placed on the exit control list. Her latest arrest was along with at least 81 others whilst protesting the recent death of one of the Movement’s members, Arman Loni, who was allegedly killed by police. ‘The repeated arrests of Gulalai Ismail and fellow rights activists is a form of harassment, and a further violation of human rights against people who are already protesting rights abuses against Pashtuns in Khyber Pakhtunkhwa and Balochistan. The disproportionate attacks on protesters do nothing to counter the fear that widespread human rights abuses continue to occur in these provinces. ‘For security services and officials to brand peaceful activists as “anti-state” is a sign of entrenched authoritarianism. Criticism of the army or the state as such is not at all identical with insurgence or sedition. Human beings have a right to peacefully protest mistreatment and abuses. Humanists UK will also today be raising the matter with the UK Government to ask what they can do to help support Gulalai. Gulalai Ismail is the co-founder and chairperson of Aware Girls and chair of the Seeds of Peace network. Aware Girls aims to challenge the culture of violence and oppression of women in the rural Khyber Pakhtunkhwa area (north-west Pakistan). 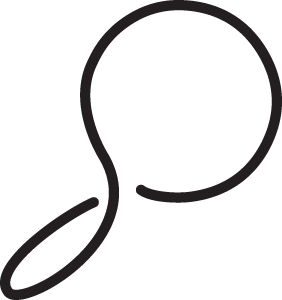 The Seeds of Peace network, founded in 2010, trains young people in human rights and political leadership, encouraging the participation of women in politics in Pakistan, and encouraging tolerance between religions and beliefs. Gulalai is a recipient of the Fondation Chirac Peace Prize, and won the International Humanist of the Year Award 2014. She has also been awarded the Democracy Award from the National Endowment for Democracy, the Commonwealth Youth Award for Excellence in Democracy, and the Anna Politkovskaya Award. In August 2017, she was elected by member organisations from around the world to the Board of the International Humanist and Ethical Union (IHEU).  She has previously been on the Executive Committee of the International Humanist and Ethical Youth Organisation, and a Board Member of the Women’s Global Network for Reproductive Rights. She also works for the Gender Working Group of the United Network of Young Peacebuilders, and is a member of the Asian Democracy Network. For more information contact Humanists UK press manager Casey-Ann Seaniger at casey@humanism.org.uk or 07393 344293.